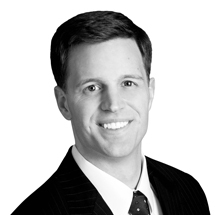 Scott got his start with Smith Salley as a summer intern while attending the Kenan-Flagler Business School at the University of North Carolina in 2005. In May 2006, upon earning his Bachelor of Science in Business Administration from UNC, Scott came on as a full time member of the team. Scott was hired to develop the Financial Planning side of the practice and in early 2009 he completed the Certified Financial Planner™ certification and now oversees the planning functions of the firm. As a CFP® practitioner, Scott is responsible for walking clients through the many “softer” issues of wealth management. Whether he is putting together retirement spending models or helping devise a funding strategy for a child or grandchild’s education, Scott stands at the intersection of how our clients invest and why they invest. Scott grew up in Raleigh, became an Eagle Scout and met his best friend in 6th grade only to marry her 12 years later. Scott, Mary Chandler, and their four children now call Greensboro home. When they are not traveling to see family or camping in the mountains, Scott and his family are regular attenders at Grace Community Church. To contact Scott you can email him at scott@smith-salley.com. Learn about our Investment Strategies, Financial Planning, Trust Services, or to request a complimentary wealth management consultation, contact us.